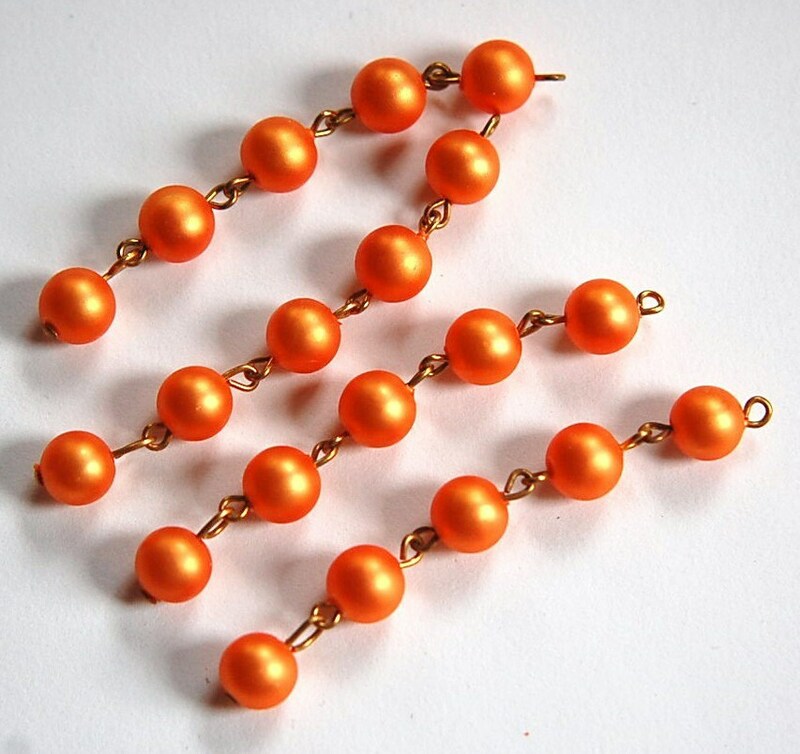 These are vintage acrylic beaded drops. 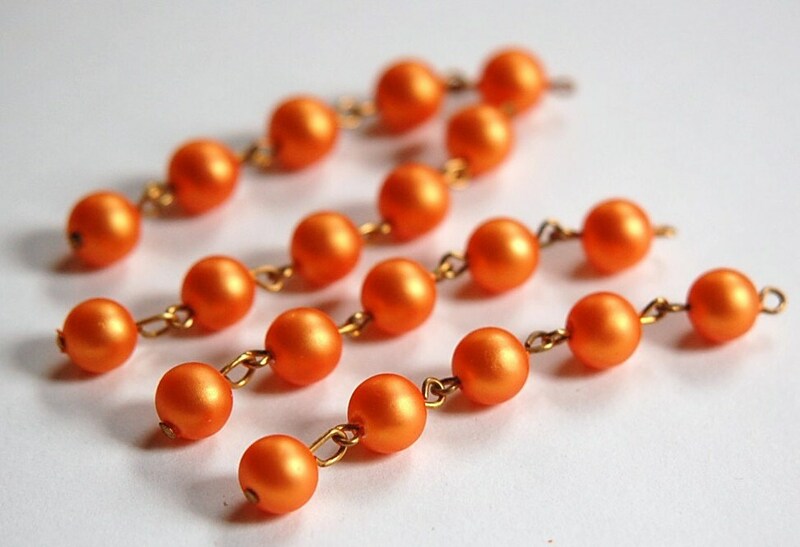 They are a metallic orange color. There are 5 attached beads on brass links. The beads measure 8mm. The drops are 65mm long including the loop. You will receive 4 drops. I love these, they remind me of oranges! I love these and thanks for such fast shipping! fast shipping. beads are not as vibrant as they are in the image. a slightly muted orange, not as bright. misleading. but still nice. Very happy with my purchase...highly recommend this store! !